Delicious, quick, simple dish. 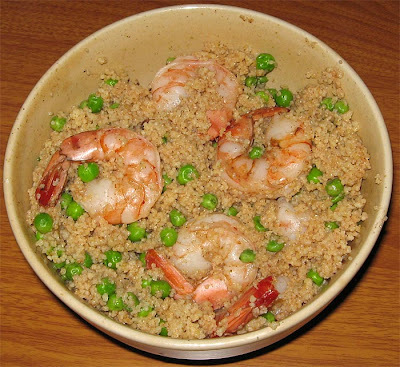 Cous cous spiced with cinnamon and garam masala, with peas and shrimp. Dish takes not even 10 minutes to put together.